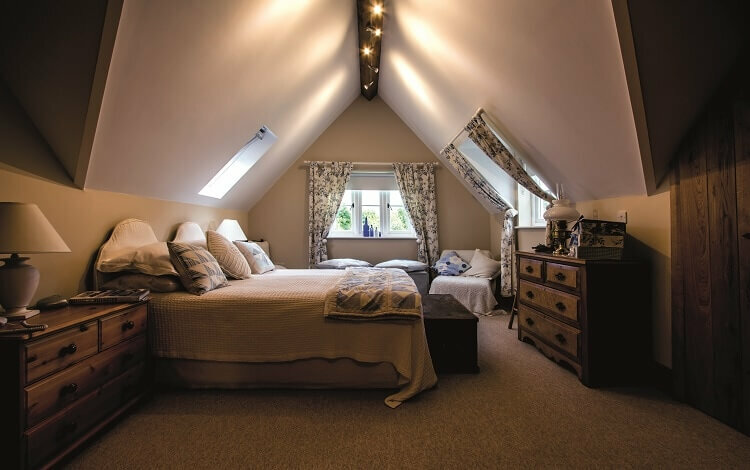 Having lived in the Somerset village of West Camel for over 50 years, Graham and Frieda Garrett knew exactly where they wanted to build their cosy and efficient forever home. Requirements: Zoned underfloor heating, an air source heat pump and solar thermal technology for a new, timber-frame home located off of the mains gas network. 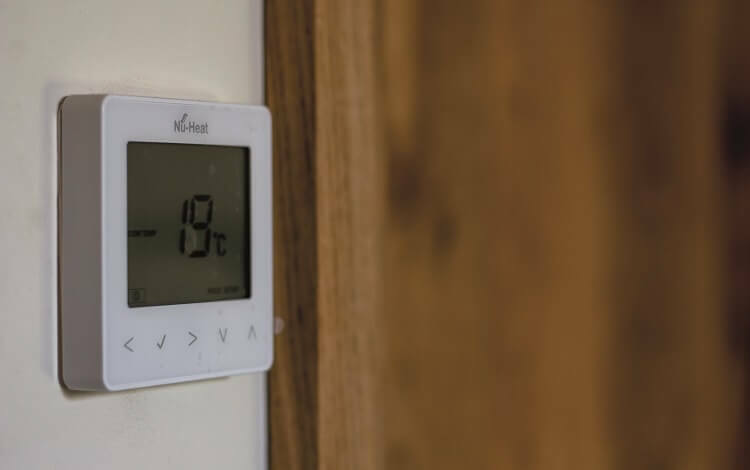 Solution: Tailor-made heating system combining screed underfloor heating on the ground floor and ClippaPlate® underfloor heating upstairs, all powered by an air source heat pump, with hot water supplied by two solar thermal panels. Graham and Frieda had always dreamed of building their own home, and when the opportunity arose for them to build on the paddock opposite their former family home in West Camel, they jumped at the chance. 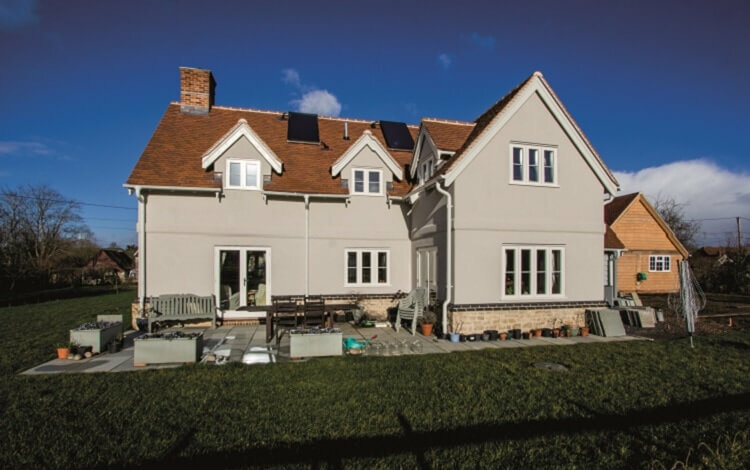 Not put off by the fact that there was no mains gas connection to the site, they saw this as the perfect opportunity to combine underfloor heating with renewable technology in their new home – the most efficient combination available. After a series of conversations with their local Parish Council, Graham and Frieda learned they might have a better chance of obtaining planning permission if the plot also offered a community benefit. Working with the local Parish Council and the owner of the adjacent paddock, an application was placed for an eleven plot community housing project across the two sites (six on Graham and Frieda’s land, the other five on the adjoining paddock). The application fulfilled an identified need for smaller homes that would enable local people to be able to purchase their own home or downsize within the village. 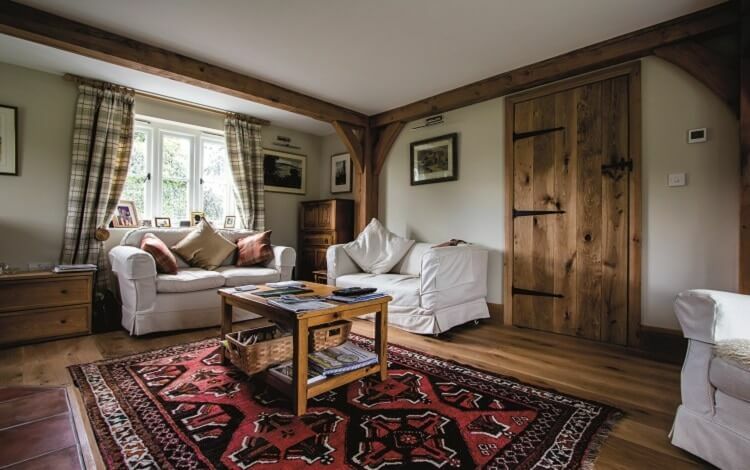 Whilst planning permission was being obtained for the paddock, Graham and Frieda researched suppliers and technologies to make sure their timber-frame home – later known as Pippinfields – would be both stylish and efficient. 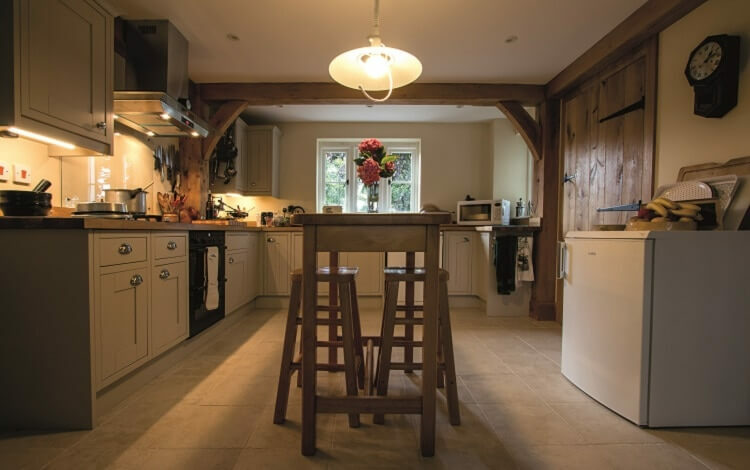 They knew that they wanted to incorporate both underfloor heating and renewable technology with their hard flooring, so after spotting Nu-Heat’s advert in a magazine, they went to meet the team at a self-build show in 2015. 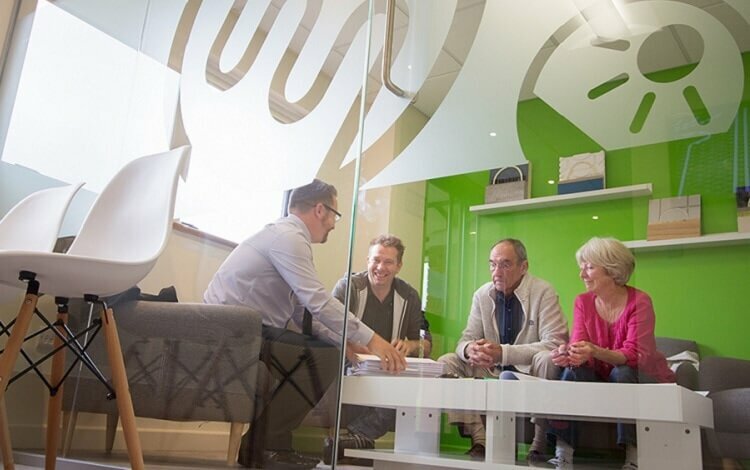 Not long after, the couple visited Nu-Heat’s offices to discuss their plans and discover suitable solutions for their future home. 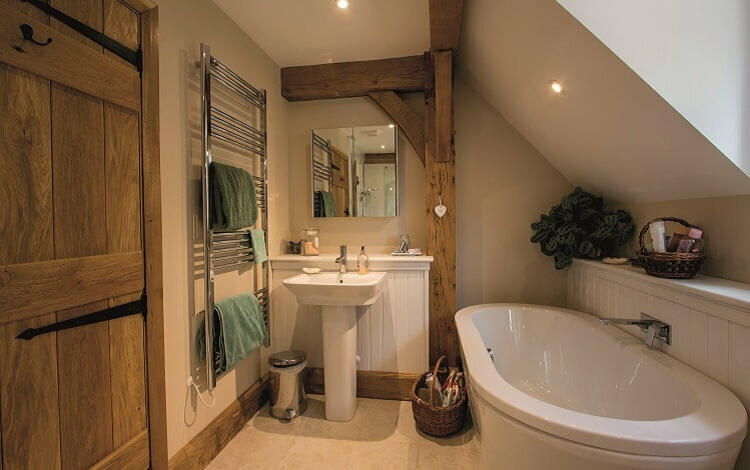 The result was a bespoke heating design incorporating screed underfloor heating on the ground floor, and specialist ClippaPlate® underfloor heating upstairs, zoned for individual room-by-room temperature control and designed to work perfectly with their choice of floor coverings. 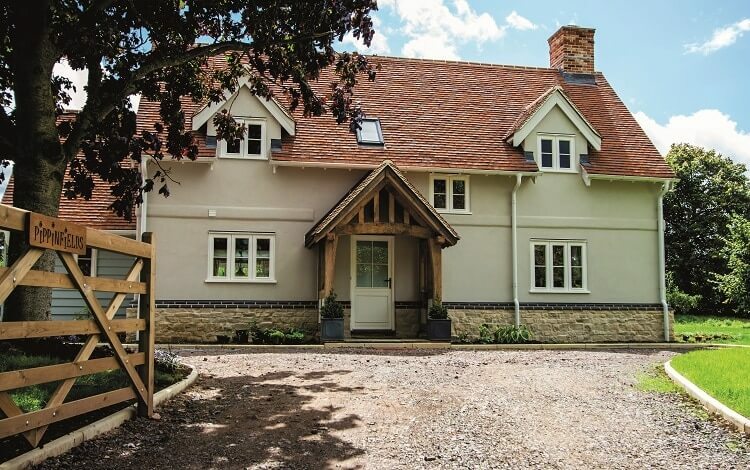 ClippaPlate® is ideal for timber-framed properties like Pippinfields, as it can be fitted either between the joists (before the ceiling is up) or over the flooring joists (before the floor deck is laid). 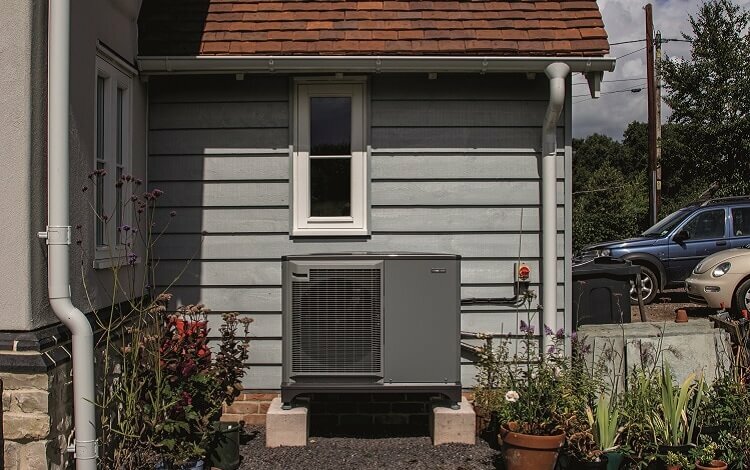 Graham and Frieda’s home is made even more efficient thanks to an air source heat pump which powers the underfloor heating – making it up to 40% more efficient than an equivalent radiator system – and solar thermal panels which provide hot water. 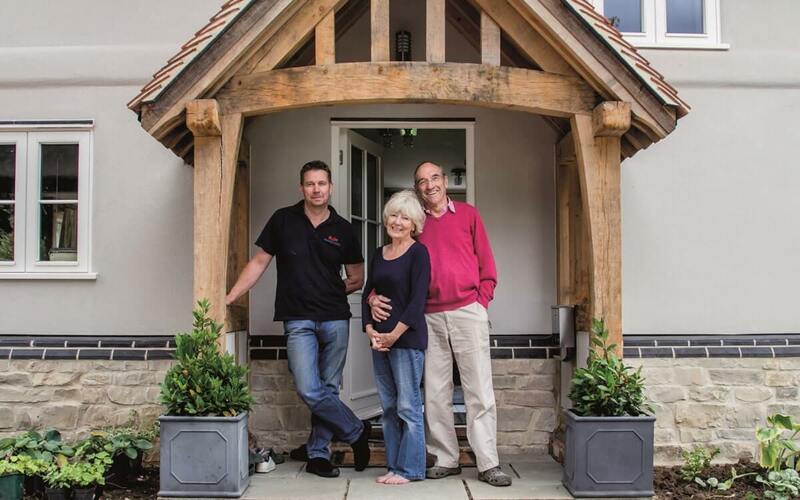 “We love the difference that having underfloor heating, an air source heat pump and solar thermal has made to our comfort and our energy bills,” says Frieda. Graham and Frieda’s son-in-law and future neighbour, Richard, works as a plumber in the village. 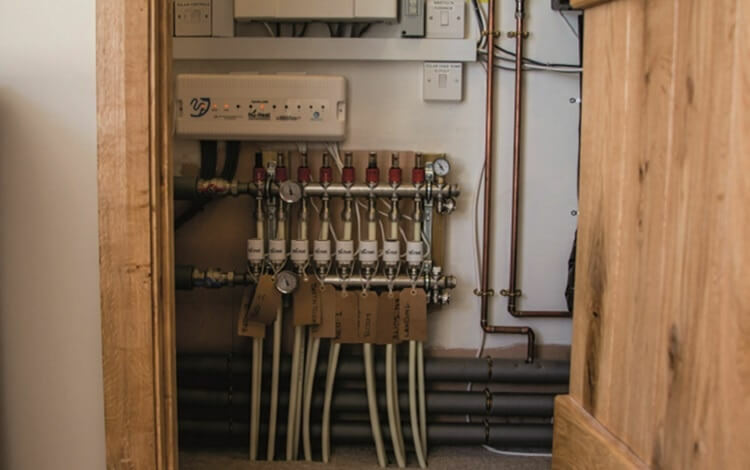 Despite never having fitted underfloor heating before, he was determined to help out, and so attended Nu-Heat’s underfloor heating training course to learn how the systems work and how they are fitted. Richard found the training course really helpful, and was surprised at how straightforward the underfloor heating was to install. Finished just in time for Christmas 2017, Graham and Frieda are delighted with their new home. Frieda explains: “We are thrilled to bits with our house – we can’t believe our luck! “From the original discussions to the final job Nu-Heat have been outstanding in their service,” says Graham.